The Banqueting House was to be a wing of a much larger palace that was never built. As a result it is in an architectural style different than it's surroundings. The building isn't much more than a big hall. The highlight is a fantastic ceiling created by Rubens. We have scheduled 35 minutes to visit this London attraction. I don't think it requires much more and it fits perfectly into our schedule. It looks like a quick treat. With a family of six we should be able to see the main hall and the undercroft or downstairs. At £5 per person it may not be for everyone, but is included in both the London Pass and the Historic Royal Palaces pass, so for us it is essentially a bonus stop. There is a small shop and bathrooms on the bottom level. It does not have wifi. 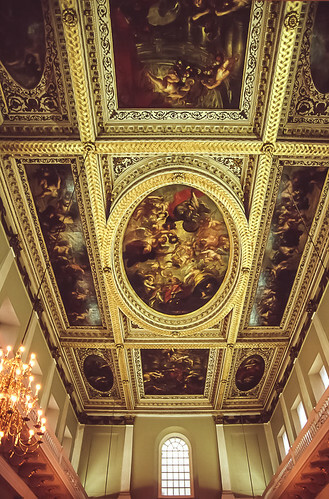 Banqueting House is situated between London Transport's Charing Cross and Westminster stations which are serviced by the Bakerloo, Northern, Circle, District and Jubilee lines. Instead of the Tube you can consider one of the many buses or riding a bike. 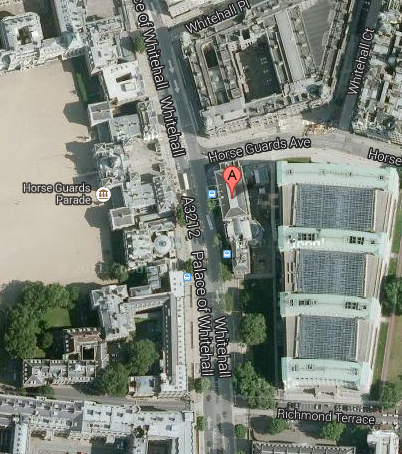 The nearest bike dock is on Victoria Embankment next to Horse Guards Ave. Going on a family vacation builds memories, provides life changing experiences and helps teach about the world we live in. Take time to explore, enjoy and have fun. If the Banqueting House sounded interesting, you may also like the Victoria and Albert Museum. You can also look at our entire list of London Attractions.